STACY IGEL: Meet our September Muse of the Month BOY Edition! 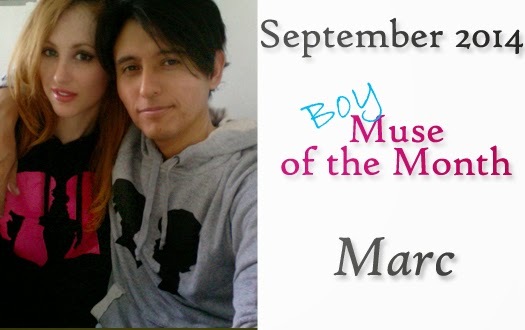 Introducing our September‘14 Muse of the Month BOY Edition, Marc! Welcome to our very first BOY edition! I am soooo excited to start this edition with photographer and good friend MARC MEZ! All my guys friends have been begging me for a BOY's line and I did promise my nephew years ago that I would make him some boy's clothes. I did make him a special shirt that he wore and rocked down this runway show. And as you can see above Marc does fit in the everytime hoodie :) So I will keep you posted on the future of BOY by Boy Meets Girl® but for now let's turn to this first BOY Muse of the Month. I have been working with Marc since 2008. Marc has shot many of the Boy Meets Girl® campaigns. He is a true creative talent. He has brought my vision to life with his incredible photography and I am so grateful for our partnership over the years. He recently said he might move away from photography. I said NO WAY...NOT ALLOWED! I think he was just having a moment :) . Learn more about Marc below while also enjoying his photography from over the years. Adopt-a-block: Dream Center Los Angeles - Every Saturday morning at the dream Center A big group of people gather together then spread out over the city of Los Angeles along with food trucks and clothes that have been donated to the dream Center food bank throughout the week. Then off to spreading the love and caring for people in need and hope to about 10 different sites in the city. Thank you Marc for being my first BOY muse and for being an incredible visionary to work with!